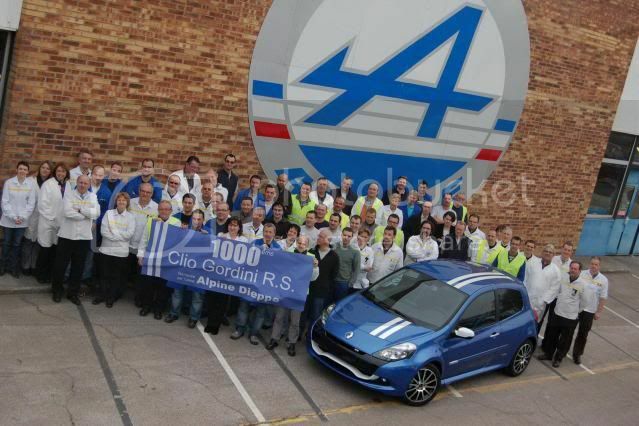 Since its launch in May 2010, Renault has pushed out its 1,000 Clio Gordini RS model, where it's being built at the Alpine plant in Dieppe. The car is sold in 18 countries, with the majority being in Europe. Following its revival in 2009, the Gordini nameplate doesn't represent performance-orientated vehicles, only ones that look sporty and come with more equipment. Half of Renault's Clio RS models sold in Europe are sporting the Gordini nameplate. According to Renault, the Clio RS possesses 16% of the B sport segment in Europe's five largest markets.